A map of the regions of the African country Chad. 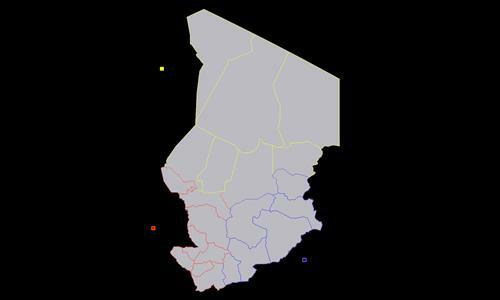 I combined the N'Djamena region with Chari-Baguirmi because of the size of N'Djamena. Credit to Eric Gaba as the creator of the original SVG. Review by Coronel Gavilan on 3/30/2015.